Are You Ready to Release Self Imposed Limitations? Are You Ready to Meet Your True Essential Self? Are You Ready to Understand Your Past and Heal What Remains Unhealed? Are You Ready to Live Your Best Life Now? 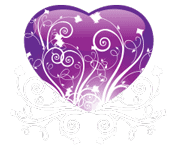 Find out more about Hearts in Harmony Hypnosis on Long Island below. Hypnosis has been around for many years, but is now becoming world known for its positive healing benefits. Through the practice of hypnosis and past life exploration, I have been able to help many people, including children, teens and adults, overcome the everyday problems many of us face daily just by helping people learn how to use the power of their minds to create the changes they desire. The practice of hypnosis you can change or reverse negative thoughts and habits, discover self-awareness, gain spiritual connection if you desire and even release the fears that hold you back from making your dreams a reality. Hypnosis is a powerful tool that is safe and effective and a significant step towards your self- improvement journey. Did you know that you could be like every successful person around you? That you too can make the changes in your life that you desire? That you too can be happy and fulfilled? So what is it that holds you back? Chances are its FEAR. Fear is based on negatives thoughts and beliefs imbedded in your subconscious mind from past and present occurrences that gave you false hope, created negative beliefs, and drew upon your weaknesses. You have the strength and ability to achieve your goals as every successful person around you, but maybe you don’t believe you do.Hypnosis reaches into the subconscious level of your mind and installs positive and encouraging thoughts to replace the current negative ones, changing the thoughts and beliefs that are preventing you from taking chances in life that will bring you happiness and abundance. 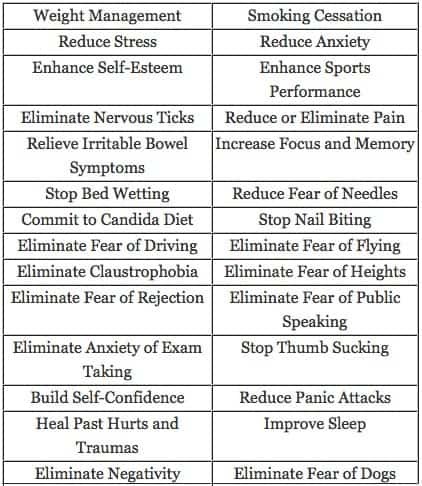 These are the destructive unwelcome thoughts and beliefs that create fear and anxiety in our thought processes.The truth is you have the power within you to change your thought processes from negative to positive with the proper coaching and guidance from a certified hypnotist. Various studies have been conducted on the practice of hypnosis all showing positive results. Our services also include personalized and customized CDs, personalized for your self improvement goal and past life exploration, group and individual, including past life exploration parties where the host of the party receives a cash reward. Allow your inner ability to heal yourself emerge with the help of hypnosis, giving you the power to restore balance and harmony necessary for healthy living. If you are interested in more information, please contact me for a FREE telephone consultation. Join our mailing list and get immediate access to this phenomemal book. Almost ready to download! Check your email for confirmation. This book will help you journey into your soul to heal yourself at the core level. Sign up to our mailing list, and get your free download. No Spam!